Are you looking for safeguarding advice? Please visit our Safeguarding Hubs. With nearly 20 years experience of international safeguarding, SAFEcic can help both in the UK and abroad. NCVO member? To access your discount code, contact us with your NCVO number! We can help you by reviewing your existing safeguarding arrangements, handling concerns and allegations, both here in the UK and overseas; providing bespoke policy writing,"whistle blowing" procedures, safer recruitment strategies, safeguarding audits and inspections, face to face management briefings, face to face training and online training (in English and Arabic). 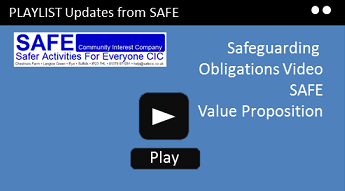 Phone 01379 871091 or email: help@safecic.co.uk for further information. If you are not sure what you need or just prefer to talk to someone, please phone or email us. We are a Community Interest Company whose prime function is to improve safeguarding, rather than create profit. We are more than happy to help and advise. Please note our office address is now; SAFEcic, Unit 10, Progress Way, Mid Suffolk Business Park, Eye, IP23 7HU. Welcome to the SAFE website. SAFEchild and SAFEadult, have combined and we are now SAFEcic delivering specialist child and adult safeguarding solutions both in the UK and Internationally. Safeguarding is everybody’s business and with child protection issues featuring prominently in recent news headlines, there has never been a more relevant time to increase the education on safeguarding children and adults at risk in this vitally important area. We are an expert, not-for-profit organisation offering a well-established, full range of high quality child protection training and other child and adult safeguarding courses. We also offer safeguarding audits,policies and procedures as part of SAFE membership, advice, support and consultancy. We carry professional indemnity insurance cover for all the services we provide. SAFE’s primary sectors are Education (including Early Years), health (including Dental Care Professionals, General Practice and Primary Medical Services, Care Homes and Optometrists) and in the private sector our customer base includes many of the UK’s largest Leisure and Entertainment provider companies. In fact SAFE has trained over 80,000 people so far! As a not for profit organisation we plough our profits back into the community by working extensively with voluntary community, charitable organisations and faith groups We use the proceeds from our commercial activities to reinvest into our community objectives to help further the safeguarding of children and adults at risk. As SAFEcic is an "eligible body" delivering educational services, all of our training courses are VAT exempt. SAFE provides child safeguarding courses covering both online child and adult safeguarding training and face to face child and adult safeguarding training. Our safeguarding courses cover both the UK and overseas, encompassing online child safeguarding training (formerly online child protection training), online adult safeguarding training (formerly called safeguarding of vulnerable adults – SOVA) and online eSafety training. Online safeguarding training provides a cost-effective and convenient way of ensuring your organisation keeps its staff’s safeguarding training and safeguarding policies up to date. Standard Child Safeguarding for Optometrists. All of our online courses are fully trackable. To verify a SAFE online training certificate, please follow this link. All of our training courses have been updated in line with the new Working Together to Safeguard Children 2018, Keeping Children Safe in Education 2018, What to do if you're worried a child is being abused 2015, the Care Act 2014 and Care & Support Statutory Guidance updated 2018. To check locations, dates and content and to book places on SAFEcic scheduled training events, follow this link. For training at a location and date of your choice, in the UK or Internationally, follow this link or email us with your enquiry. SAFE provides a comprehensive range of face to face child and adult safeguarding training courses in the UK and Internationally, covering all of your child protection training and adult safeguarding needs, with specialist courses covering Rigorous Recruitment and for those dealing with very young children, SAFE provides a full suite of Early Years training interventions. All of our training courses have been updated in line with the new Working Together to Safeguard Children 2018. SAFE offers far more than just child protection training and safeguarding courses. We provide DBS (formerly CRB) checks, expert support, Membership and Awards, policies and procedures, briefings, audits, in fact everything you need to fulfil your safeguarding obligations easily and at minimal cost. If you are not sure what your organisation needs, follow the "What do we need?" link, download our Ofsted specific guidance or our CQC Dental specific guidance, or contact us by phone or email. If your organisation works in the education or health sectors, it is also good to know that our child protection/child safeguarding and eSafety courses comply fully with Ofsted and CQC requirements. New International Child Safeguarding Courses, Online and Face to Face. Are you a UK based organisation with workers abroad? Are you a non UK organisation who wants to work to internationally recognised child safeguarding standards? Our expertise in Safeguarding has enabled us to successfully train thousands of people across the globe and we believe we are unique in being able to offer these courses. For online International Child Safeguarding, available in English and Arabic please follow this link. For Face to Face International Child Safeguarding, please email us with your enquiry. 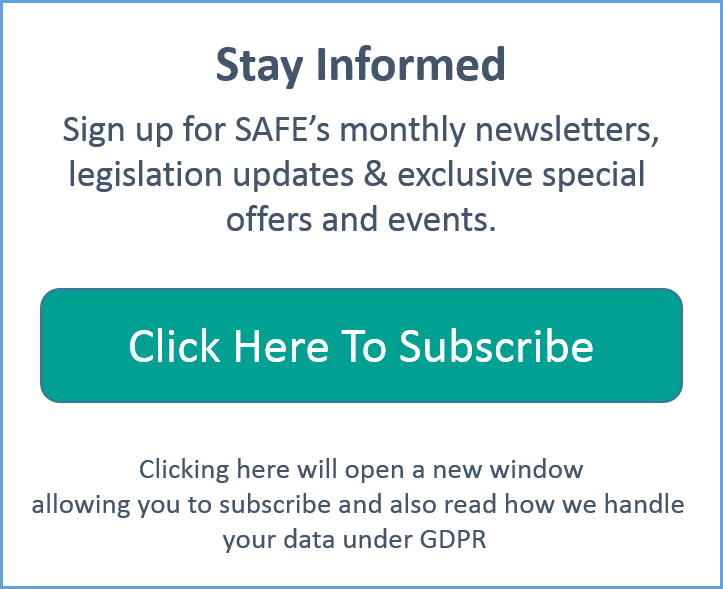 To stay informed about the latest safeguarding issues, news headlines from the fields of child and adult protection, special offers on training and other information that impacts you, why not join our mailing list. Once signed up you will be able to access a wide range of free resources and downloads, in addition to receiving our regular safeguarding newsletter. Simply fill out your email in the box. SAFE CIC is a not for profit organisation specialising in all matters relating to child and adult safeguarding, including online and face to face training, policies, DBS checks & consultancy.